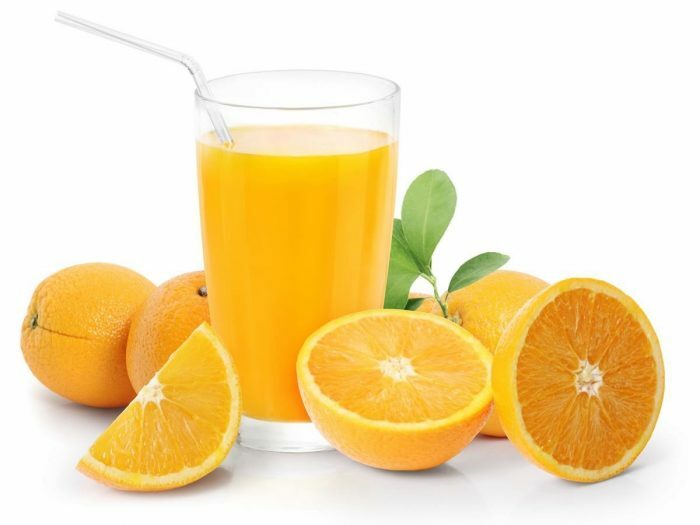 All of the impressive health benefits of orange juice can be attribute to its nutritive content, as well as vitamins and minerals including vitamin C, vitamin A, thiamin, folate, potassium, fiber, proteins, copper, magnesium, flavonoids, hesperidin, and a variety of other trace vitamins and minerals that make it one of the most valuable and nutrient-packed fruit available. Let’s explore the health benefits of this fruit juice in more detail below. Inflammation: Citrus fruits are commonly considered anti-inflammatory agents, and orange juice is no exception. High sugar and high fat meals can lead to inflammation of various body parts, and this, in turn, can lead to the development of increased insulin resistance. This is one of the major underlying causes of type 2 diabetes and atherosclerosis. Studies have shown that orange juice can inhibit this insulin resistance by reducing inflammation, thereby protecting the heart and guaranteeing overall cardiovascular protection. Also, being able to reduce the chances of developing diabetes is a major bonus of this property of orange juice. Blood Pressure: As mentioned earlier, hesperidin is an antioxidant, which means that it protects the body against disease and cancer, but this water-soluble plant compound also impacts the activity and functioning ofsmall blood vessels. This can have a major impact on blood pressure as a whole, and research has connected this powerful antioxidant to a reduction in overall blood pressure and a decreased chance of cardiovascular diseases.